Many of the world's favorite sports have roots in ancient cultures, based on the skills early peoples needed to survive in their environments. Ancient Hawaiian sports are a great example. Life in Hawaii's lush, volcanic, Pacific islands shaped a traditional Hawaiian sports culture and history that is still active – and even celebrated worldwide - today. Here are some ancient Hawaiian sports you'll want to make sure you experience - and maybe even try out - on your next trip to the Aloha State. Remember what the Beach Boys said: 'If everybody had an ocean… then everybody'd be surfin'. 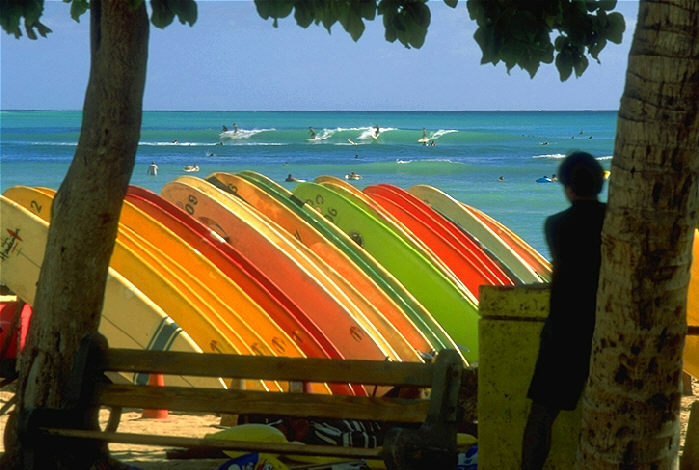 The islands of Hawaii are the cradle of modern board surfing. And far from the mellow, nomadic lifestyle associated with modern surfing culture, the sport has aristocratic and even spiritual origins of bonding with the sea. Surfing used to be the domain of Hawaiian chiefs and nobles. They were required to demonstrate their surfing skills to maintain or earn their status. Then in the 1880's, three Hawaiian noble teens away at school in California took their boards to the waves at Santa Cruz… and the rest of Hawaii and West Coast modern surfing culture is history. 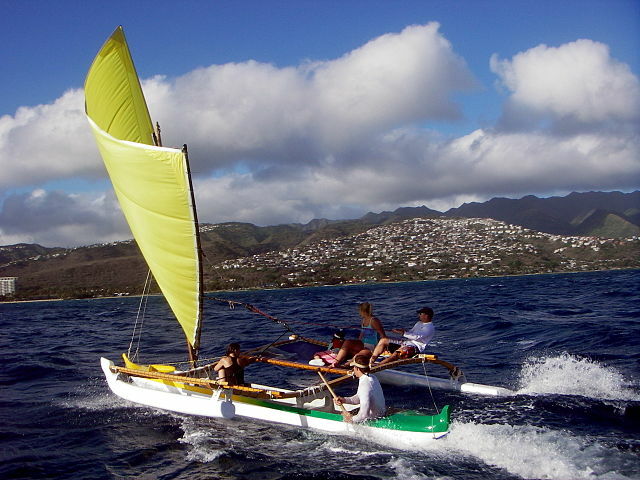 Outrigger canoes are one of the strongest symbols of Polynesian culture Hawaiians share with Tahitian, Samoan, and even more distant Filipino and New Zealand's Maori societies. Their incredible seafaring heritage and feats of distance traveled in the vast Pacific waters to other islands are due in large part to outrigger canoes. Ancient Hawaiians didn't just surf the waves. They tried to translate similar methods to island terrain. But the technique they developed to surf the land didn't catch on quite so much in modern sports culture. Holua sledding involves a narrow – only 4-inch! – wooden sled to 'surf' down mountain slopes and lava flows. Without snow as a cushion and to reduce fiction, holua sledding is a lot tougher and less reliable a way to get around than the skiing and sledding developed in northern climes. You'll recognize other traditional cultures in the elements of Ulu Maika, too. In a feat of strength and skill, ancient Hawaiians catapulted lava stone 'balls' between 'goal' posts in the ground only about a foot apart. Like other early societies' sports like the stone put or shot put, excellence in Ulu Maika was part of battlefield training. And like later sedate iterations of ball throwing in other cultures, like bowling or bocce ball or petanque, Hawaiian Ulu Maika made the transition from warrior to recreational practice. It's still played wherever supplies and space permit. When you visit Hawaiian cultural sites or a luau, you can often see it and sometimes even test your own skills.